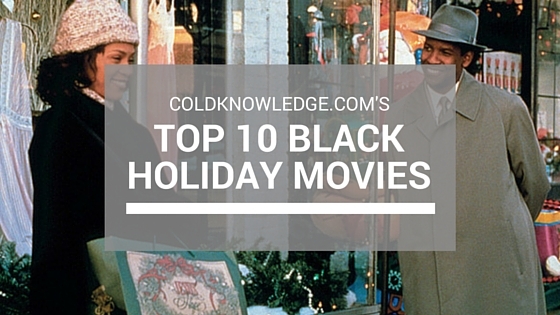 Hey there guys, I'm back again with another movie list of my favorite black holiday movies. Now while most of these movies may look familiar to you, some might not. So with it being the snowy winter season, why not take the time to rent them and watch them at your leisure when you're in the house for movie night. If you have any movies to add to the list, feel free to leave a comment or hit me up on the contacts page. Enjoy! This isn't a black movie in terms of cast or anything, I put this on this because it was really popular with the kids in my neighborhood when I was growing up. Sinbad is in this one and he plays a great "villain" to Arnold Schwarzenegger . It's a pretty fun movie that will get kids excited about Christmas. If you're one of the many guys that saw this during the holiday season in the 90's or had it on VHS like I did, then this will take you down memory lane. 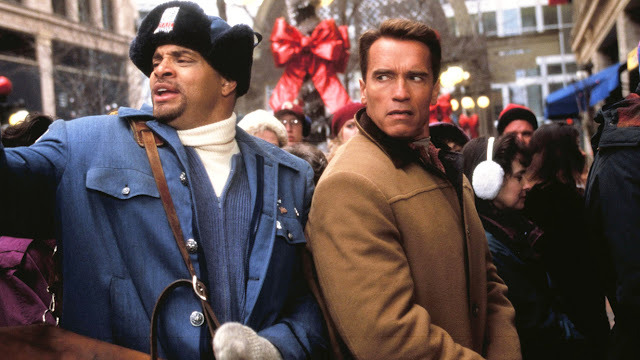 There's a sequel called Jingle All The Way 2 that we're just going to act like doesn't exist. 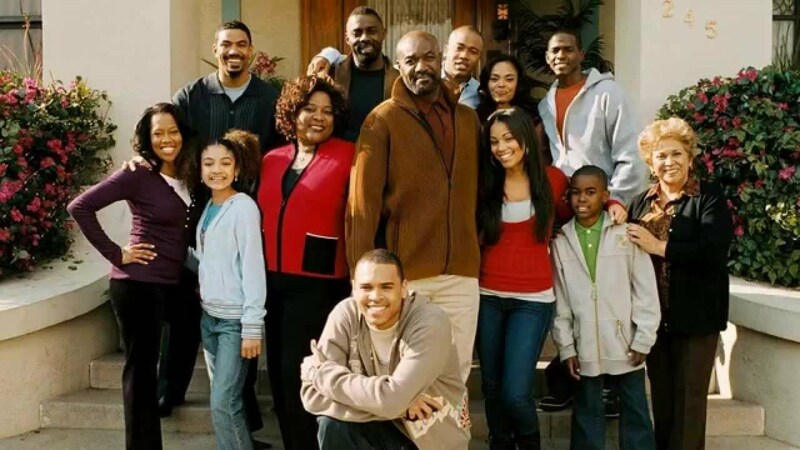 Star studded cast with Loretta Devine, Delroy Lindo, Idris Elba, Regina King, Sharon Leal, Columbus Short, Lauren London, Chris Brown, Laz Alonso, Keith Robinson, Jessica Stroup, Lupe Ontiveros, David Banner, Ronnie Warner & Mekhi Phifer. This is the same format of holiday movies but wit ha couple of great performances in there. I've personally seen this movie just once over the last couple of years, but I'm going to pop it on the days I get snowed in and get reacquainted. It had a lot of funny moments in there from what I can remember of it. I have a funny story, I was actually sitting down one Friday when class was canceled because the teacher didn't feel like driving in the rain. So I was just flipping through the channels looking for something to watch til lunch, and I came across this because I saw LL Cool J and didn't recognize the movie. Then of course when I saw Queen Latifah I just stopped and watched it. It's a pretty good movie when you watch it for the first time, after that it's just cheesy. But for the most part it hits on all cylinders in terms of being a warmhearted movie. I don't think too many people have seen this either so I'm not going to spoil it for everyone. If you're looking for something to watch that's not the same movie as every year, watch this one. I have this movie high on the list because it surprised me when I watched it. I really thought it was going to be a really cheesy movie when I saw it on BET, but when I actually sat down and watched it, it was pretty good. This is another movie that most people didn't even know existed without catching it on BET's movie night or Disney Channel's airing of it. Morris Chestnut and Gabrielle Union deliver some great roles in this one. They have a solid cast with Charlie Murphy, Faizon Love, Katt Williams, Queen Latifah, Terrence Howard accompanying them. If you haven't seen it yet, then check it out, it's definitely one of the better Christmas movies out there today. Another classic from the 90's. If you've never seen Whitney Houston act, then this should be one of the movies that you check her out in. I will admit that I've seen this only once or twice verses the other movies on the list, but that's just find for where it's at on my list. This movie has it all from warm moments, to the sad moments and the heart felt singing. I won't say much on this movie because I know there a lot of people who haven't seen this title. 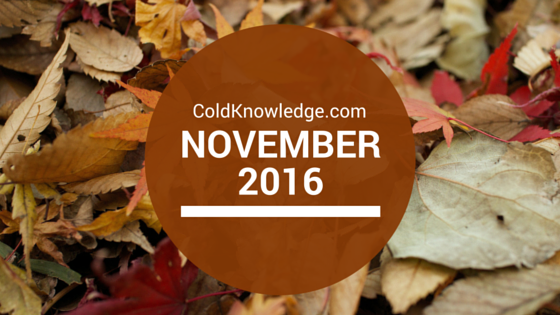 Switch it up this holiday and check something out that you haven't seen that you will like. The cast is stacked as well with everyones favorite main man Denzel Washington leading the way and Courtney B. Vance, Gregory Hines, Jenifer Lewis, Loretta Devine, Lionel Richie& even Cissy Houston showed up in this one. If that isn't enough incentive then you should probably know that the movies soundtrack is the best selling Gospel album, like ever. Now when I was looking for holiday movies to put on this list, I completely forgot about this movie. This is actually Eddie Murphy's second featured role and it was wildly successful throughout the country grossing 90 million. 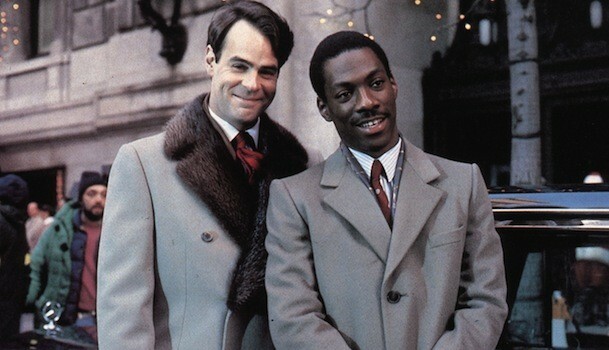 It was so successful that Wall Street actually implemented some trade regulations and named it the The Eddie Murphy Rule. But regardless of those facts, the movie is just a great movie about what it's like two switch two people on two different perspectives of the world. Filled with comedy and some serious moments. It's a great watch. 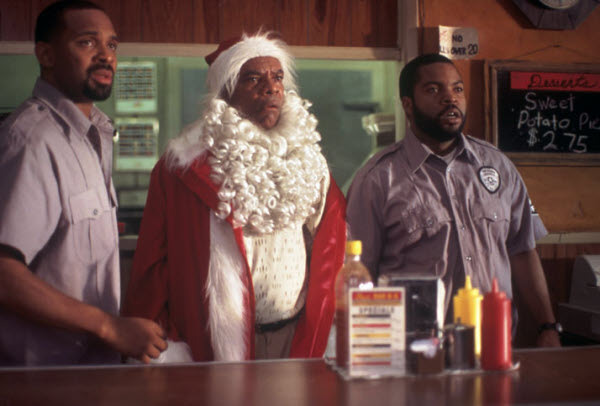 Believe it or not, this is a Christmas movie lol. The whole premise is to get money back that was stolen from them by "Santa". Just like all of the Friday's, this a great movie full of laughs and quotable lines. With the familiar cast of Ice Cube, Mike Epps, John Witherspoon, Don "D.C." Curry, Anna Maria Horsford, Clifton Powell & the addition of Terry Crews, Katt Williams, K.D. Aubert & Rickey Smiley they all balanced each other out perfectly. I like to laugh so that's why this is so high on my list. If you're looking for something that deviates from the normal holiday movie format, then this is your go to movie, it's sure to put some smiles on your face this holiday. When I first saw this trailer, I instantly thought the movie was going to be another one of those corny sign along that come out every year to DVD around this time. What I got instead was a movie that was so much more. 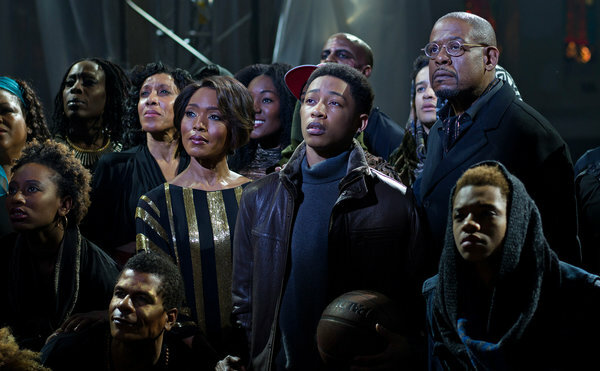 All of the actors from Forest Whitaker, Angela Bassett, Tyrese, Jennifer Hudson, Mary J. Blige, Nas, to new comer Jacob Latimore all held their own when it came time to for their solo. There was not a moment I wasn't thoroughly impressed by any of them. The moments that were suppose to be emotional were and the ones that were suppose to be uplifting hit it. The singing is just off the chain in this one. The only knock that I have against it is all the talking during the end credits, I feel like the movie could've ended on the last scene, other than that, the movie was perfect. When they announced this sequel it was quickly hyped and ready to be seen by everyone because the first one is consider a classic amongst most African Americans. 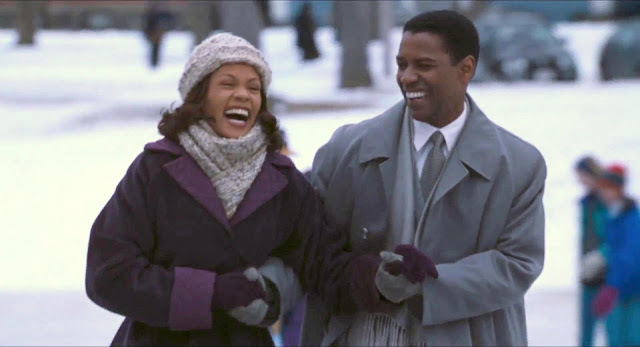 We knew the same struggles the cast members, Taye Diggs, Sanaa Lathan, Nia Long, Morris Chestnut, Harold Perrineau, Terrence Howard, Monica Calhoun, Melissa De Sousa & Regina Hall, faced from the first one so the movie had a sense of familiarity to it. But what the movie did capitalize on was having that same familiarity and adding a sense of surprise and new elements, and when the movie took a complete left turn, it became a automatic tear jerker. I will admit that Marsha Ambrosius & Anthony Hamilton's duet cover of Stevie Wonder's As bought a legit tear to my eye. I'm not going to say much on this movie because it just came out last year, but if you haven't seen it, go do so, you won't regret it. 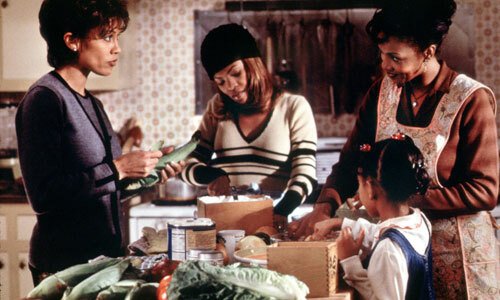 There is no greater African American holiday movie than Soul Food. When it comes to the plights of a family and their struggle to get a grasp on family secrets left behind by the head of the family, Mother Joe. They soon realize, after her many teachings and wise words from before the grave and well beyond it, that life isn't as bad as they think it is when they stick together as a family. With the cast having no shortage of stars such as Vanessa L. Williams, Vivica A. Fox, Nia Long, Michael Beach, Mekhi Phifer, Brandon Hammond, Jeffrey D. Sams, Gina Ravera, & Irma P. Hall as Mother Joe. The acting in the movie doesn't miss a beat on any level. For us, Soul Food is a timeless movie that we can watch year in and year out, the ultimate feel good, holiday movie for your family. What do you think? Any movies that you would like to see on this list? Any you think are ranked too low or too high? Let me know in the comment section below, I'm always glad to hear from you guys.